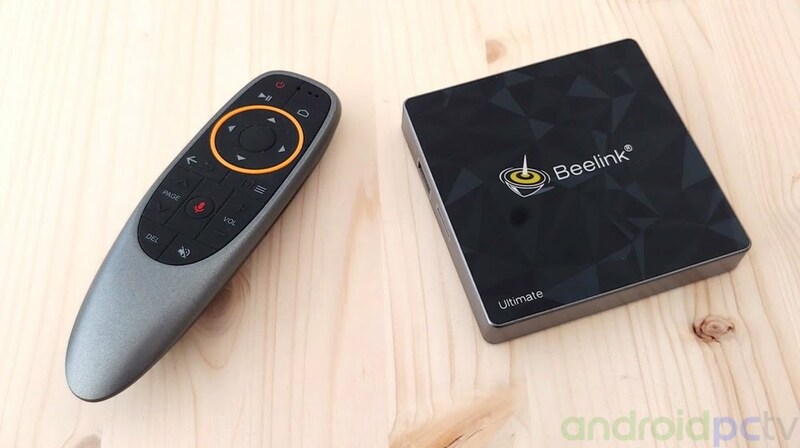 Beelink GT1-A is a new Android TV-Box that we present in our review today. 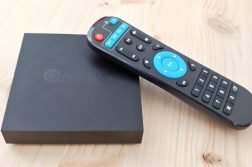 A new box of the Beelink brand that surprises us with this reissue of Beelink GT1 Ultimate with the addition of Android TV as a system, remote with voice control and support for Netflix 4K. 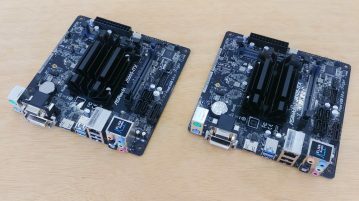 A box that mounts the powerful Amlogic S912 Octa Core SoC, also integrates 3GB of DDR4 RAM and 32GB of internal storage, has a dual band Wifi adapter, Bluetooth 4.0 and has Gigabit Ethernet. 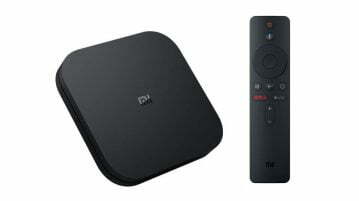 Let’s see in our review how this device behaves and how the new additions that we find in this version work. 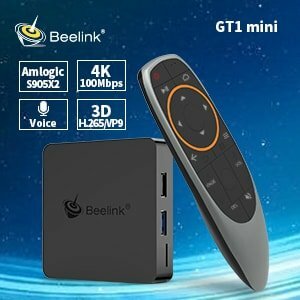 Beelink GT1-A can be purchased in Amazon.com, Gearbest, Aliexpress or Geekbuying only for $79,99 (70€) with shipping. 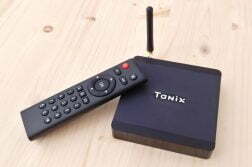 The TV-Box Beelink GT1-A maintains the design of the Ultimate version and has the classic plastic box with the logo on top. On the front we have a bright white LED. At the connector level we find two USB 2.0 ports, we also have HDMI 2.0 connector up to 4K@60fps, microSD reader, SPDIF and the power connector. Materials and measures: Plastic / 95 x 95 x 20 mm / 190 gr. 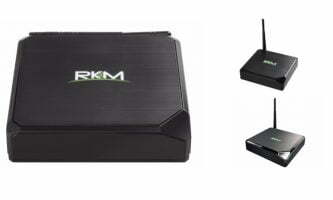 Remote control: Basic remote with IR + RF 2.4GHz controls and microphone via USB adapter included. 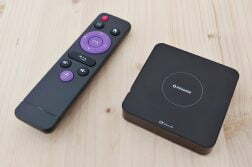 Alternative remote control: We can control remotely from our mobile using the Android TV remote app connect a flymouse, mouse or keyboard. 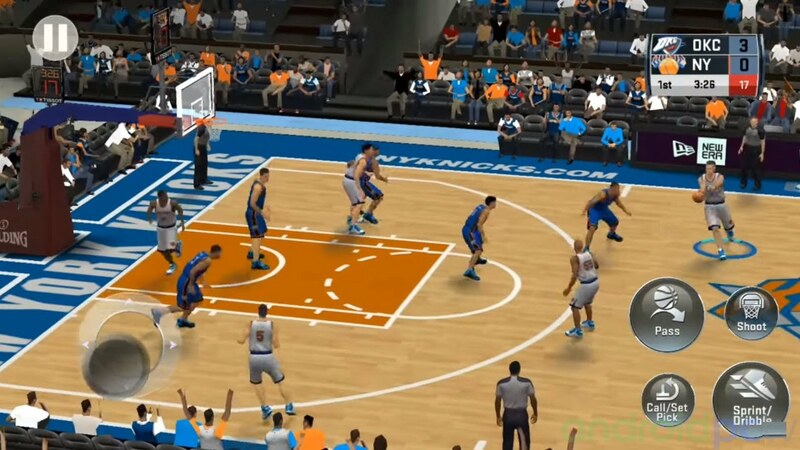 The reset button is easily accessible by pressing with a clip from the hole in the back. 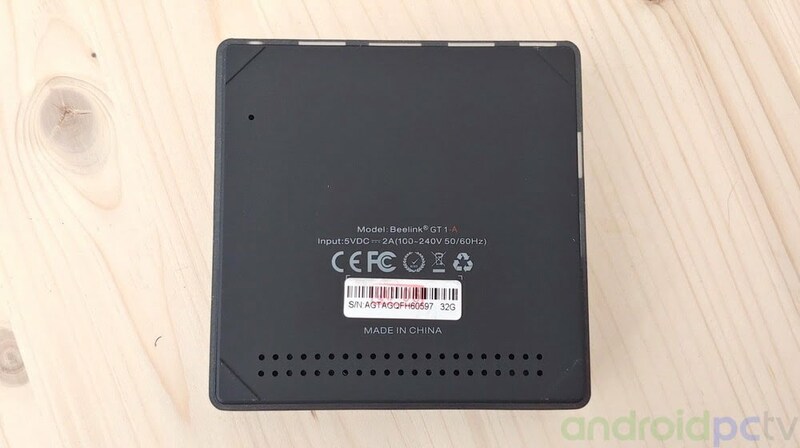 When opening the TV-Box we can see the Wifi ac chip that integrates BT 4.0 + EDR in this case an b, has a single internal antenna attached to the housing. The cooling system consists on a metallic encapsulation and a thermal silicone gasket that comes into contact against a large metal plate in the upper cover. We connect the Beelink GT1-A to the current, the TV-Box starts automatically with an animation and the front led panel lights up. 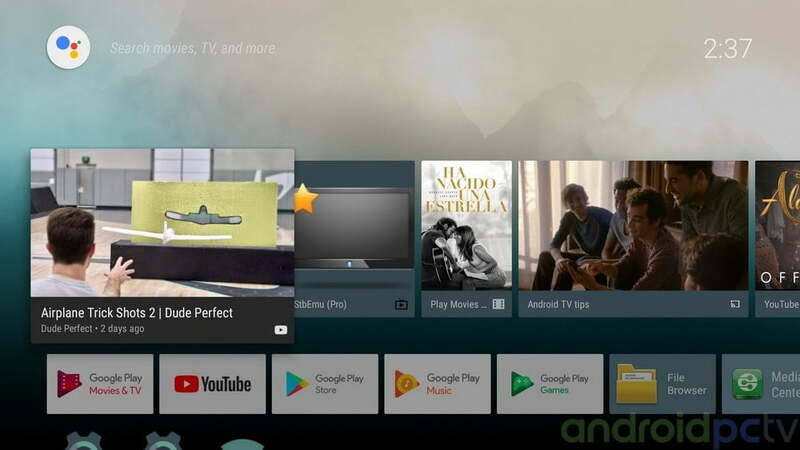 The installed OS by default is Android TV 7.1.2, an Android version focused on its use on television screen and use with remote control that has its advantages and disadvantages. 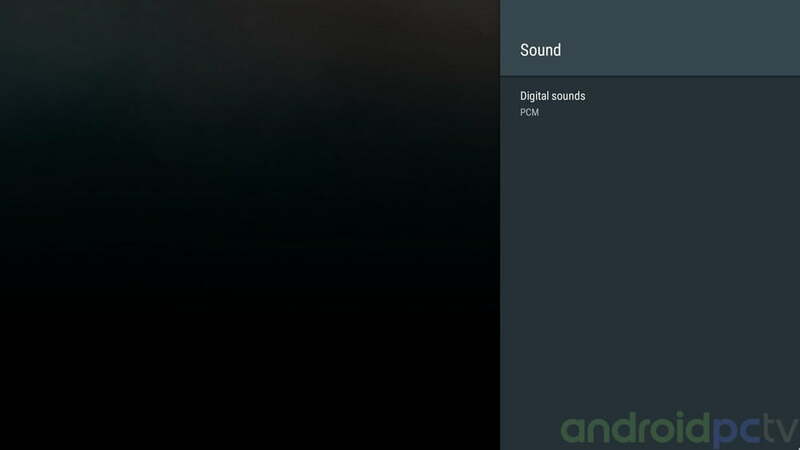 Launcher: Android TV 7 Launcher / YES we can change launcher / Android UI rendering at 1080p. 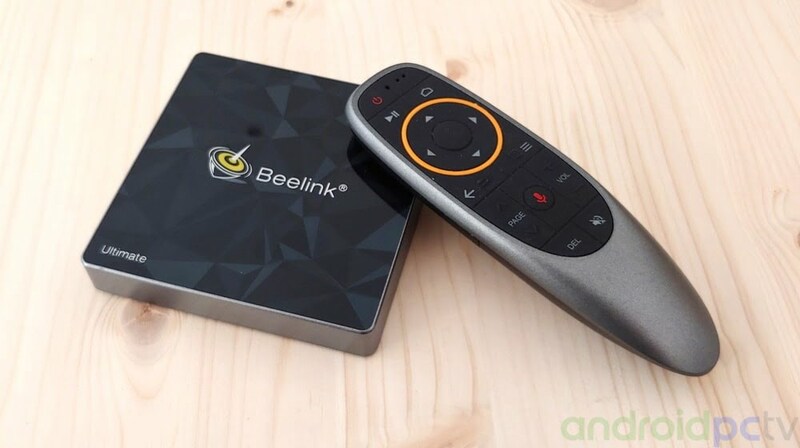 In the Beelink GT1-A we check that the system moves fast, the power of the Amlogic S912 Octa Core SoC and the 3GB of RAM fulfill their function, the internal storage is fast enough to make the loading of apps fluid. We can run applications like KODI, IPTV or powerful games without fluency problems. 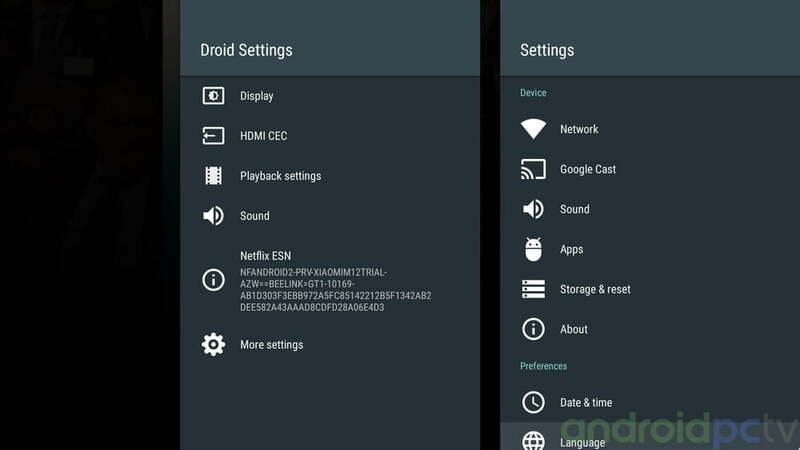 Installed apps: Google play, Media center (DLNA), Youtube, File Browser, Netflix oficial and StbEMU Pro for IPTV. On/Off Controls: If we leave the power button off, the TV-Box show a turn off and reset options. 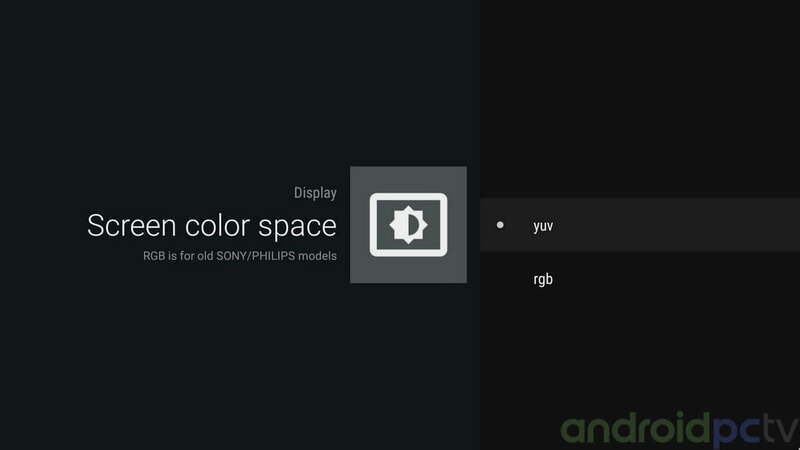 In the Beelink GT1-A we have three different settings menus available, in the lower part we have two one called Droid Settings with the settings of the TV-Box that give us access to the Android classics settings with white background and another with the Settings icon with the generic side adjustments of Android. 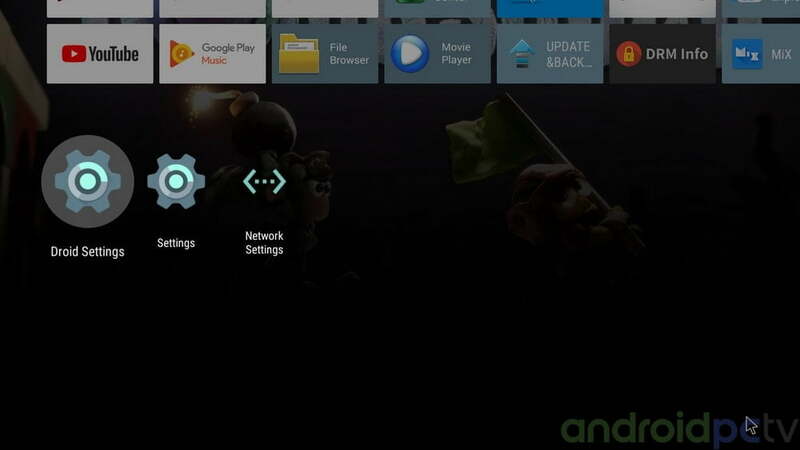 The Android TV Google Play Store behaves normally and we can find the most common apps. 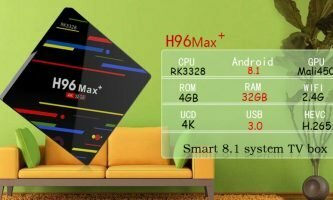 The version of the system and the compilation of the kernel is quite current, it surprises us with the compatibility for 64bit applications something that we have not seen in any other TV-Box Amlogic. 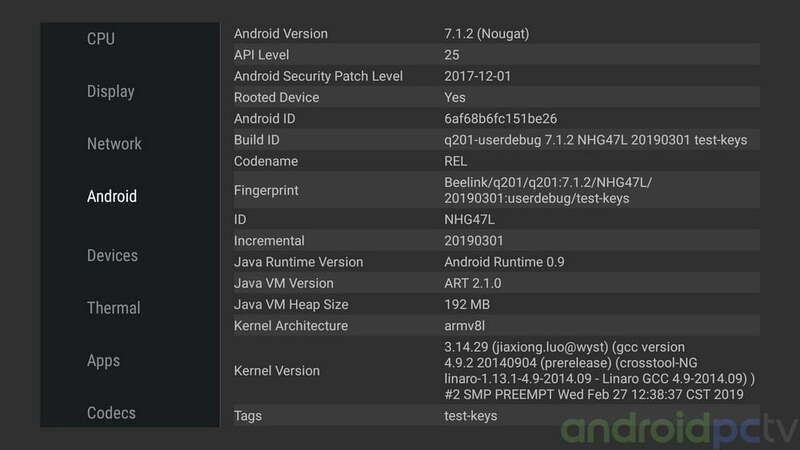 System version: Android 7.1.2 (64bit) / Kernel 3.14.29 / Build 2019-03-01 / Reference Q201. 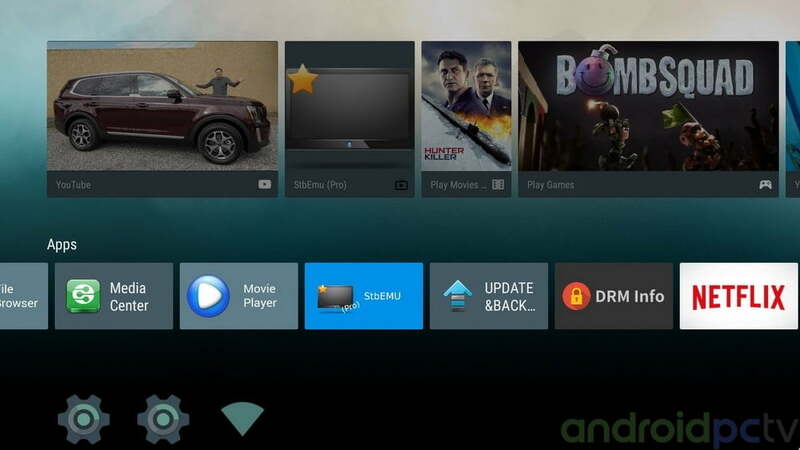 App store: Google Play for Android TV with all the apps available for the Android system. 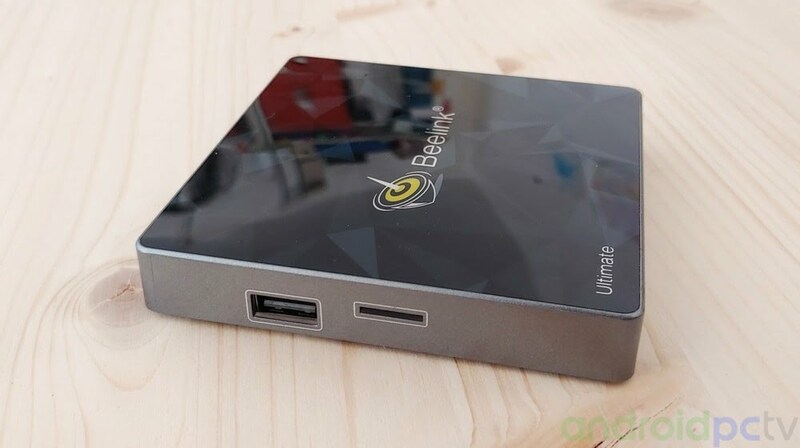 Brand support: Beelink has a website but we can not find info about this model. 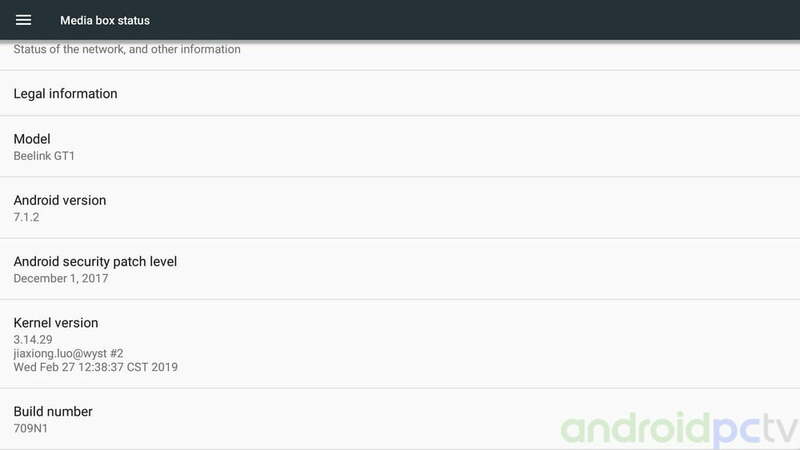 Root:The system IS root by default / YES menu to deactivate it in settings. Firmware and Scene: Firmware available soon / No custom firmware available / YES compatible with LibreELEC. We pass our usual memory tests for the internal storage in the Beelink GT1-A using the SD bench app. The internal memory has a good speed. 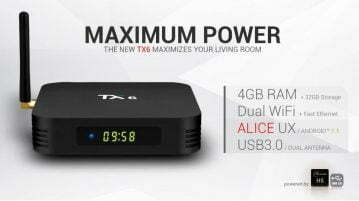 In this model we also have as a novelty with a USB 3.0 connector, the transfer speed is quite good and serves to save or view high bitrate content without problems. At connection level the Beelink GT1-A TV-Box has a Wifi ac 2×2 2.4/5GHz (RTL8222BS) with Bluetooth 4.1 and Ethernet Gigabit with which we connect to an ASUS RT-AC1200G+ Router, a mid-range device. We perform tests on the use of streaming using the iPerf measurement tool to see the maximum performance of each network adapter. Wifi speed results: Correct speed although the wifi range could be better / 1x Internal antenna. Wifi range: At a distance of 5 meters with a wall we have a signal of 43 dBm. Ethernet: Gigabit Ethernet with good speed although it does not reach the maximum it could give. 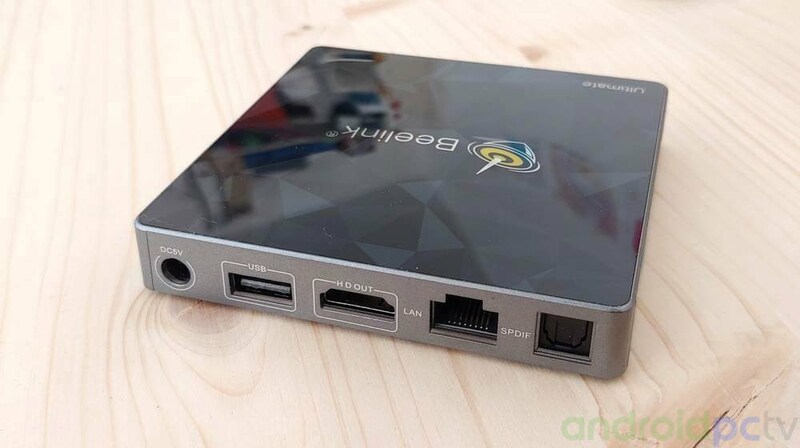 In the consumption side this Android TV Beelink GT1-A using the Amlogic S912 SoC has very good results in terms of efficiency. This new SoC is manufactured in 28nm and has a maximum consumption of only 6W, a correct result within its range. 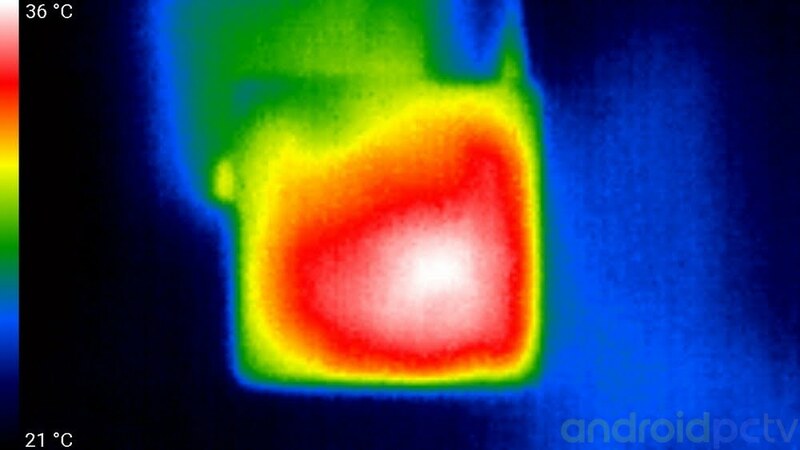 The performance of the TV-Box in scenarios of maximum sustained performance and in its usual use, we use a stress app for fifteen minutes and thermal camera to detect hot areas. 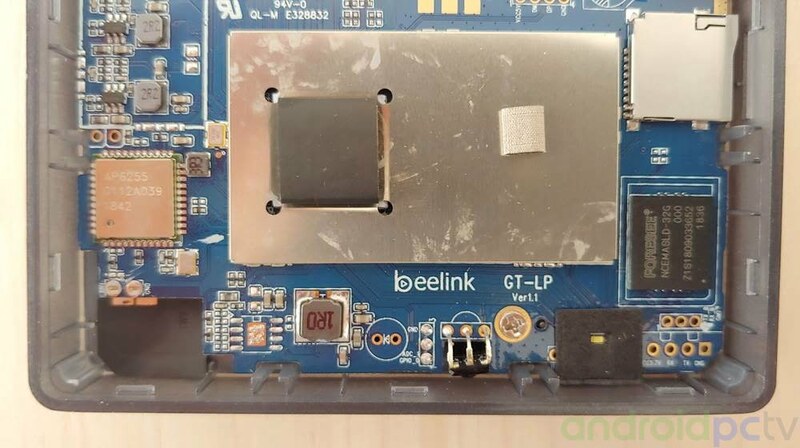 As we have seen the Beelink GT1-A performs well thanks to the large internal metallic heat sink it mounts. Loss of performance: The system maintains the 94% of his performance. At the raw power level the Beelink GT1-A has correct results thanks to the powerful Amlogic S912 Octa Core SoC with ARM Cortex-A53 processors and Mali-T820 MP3 GPU. 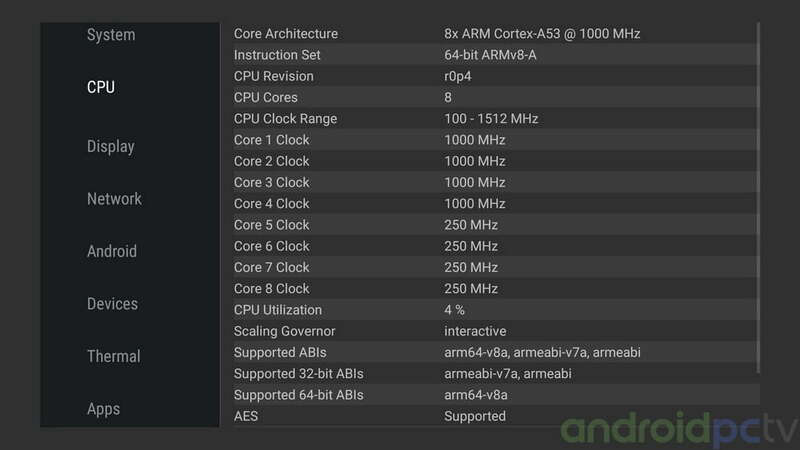 If we look at the results we can see that it is close to Amlogic’s newest SoC the S905X2, in general section it is below that of powerful SoC like the Rockchip RK3399 that already has ARM Cortex-A73 cores. We will have to wait for the new S922X to see a performance jump compared to the new S905X2 but user level for basic apps is not critical. 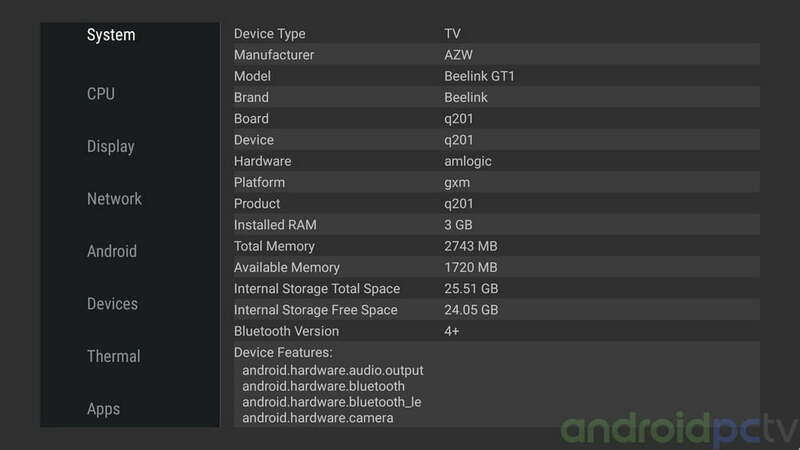 At gaming level the Beelink GT1-A have the Amlogic S912 SoC that integrates a Mali-T820 MP3 GPU, this model allows us to correctly move most Android titles without performance problems and good compatibility. 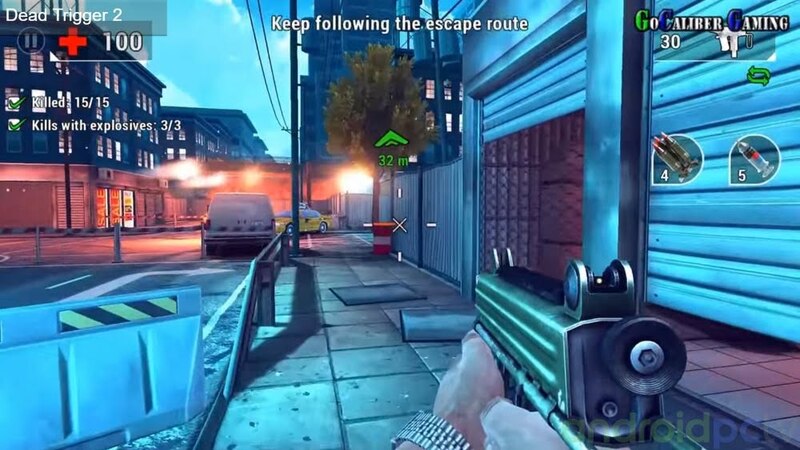 The titles with a lot of 3D load also move quite well and this GPU allows us to play them correctly in low or medium settings. Emulators: Up to Wii games / NO Vulkan support. 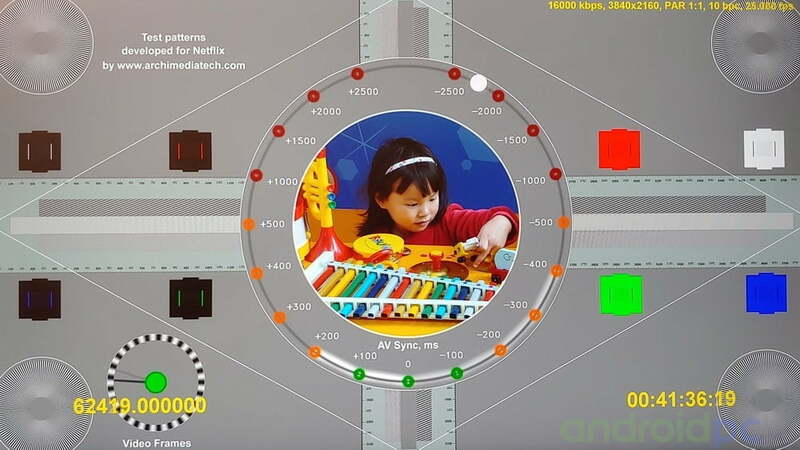 We perform several tests of multimedia playback with the Beelink GT1-A and verify that it works perfectly using the classic Amlogic S912 SoC, which has video output support for HDMI 2.0 that allows maximum resolution up to 4K@60fps with HDR information, we have so RGB for old TVs and automatic refresh rate change for 1080p24 mode. 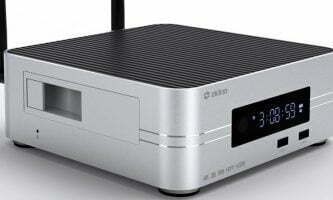 We also have SPDIF optical output to connect it to compatible audio receivers or to our TV. 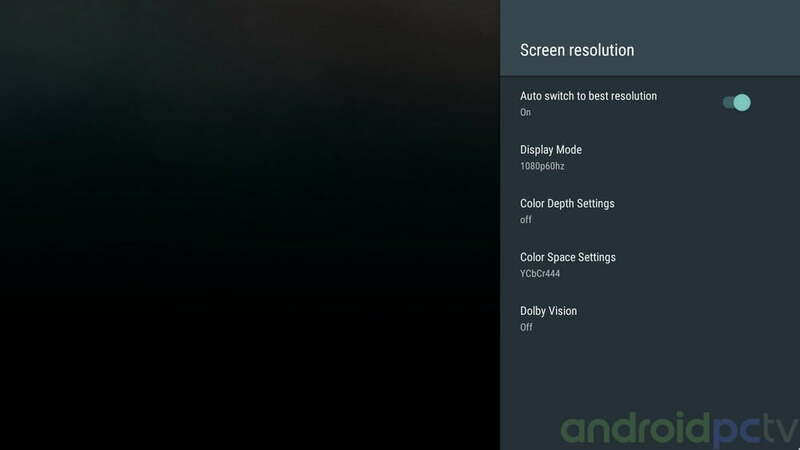 Automatic refresh rate change: YES available in the settings . 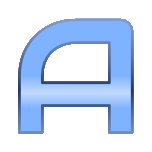 Audio passthrough: Available in audio settings. 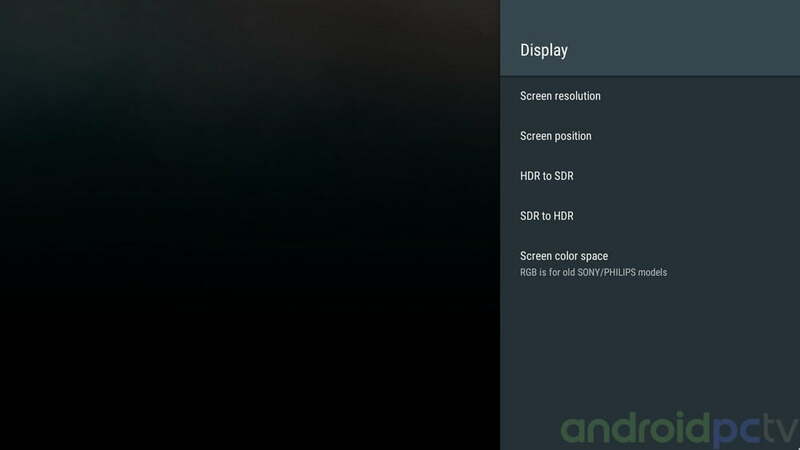 Image adjustments: No image quality settings / RGB mode / HDR <> SDR modes. 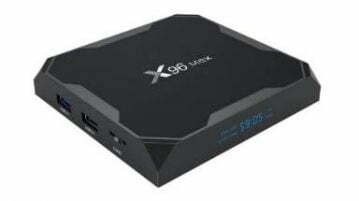 Regarding the section of video playback, the Beelink GT1-A counts as we can see with the S912 SoC and a VPU compatible with the most modern h.265 or VP9 video formats with HDR modes including Dolby Vision. 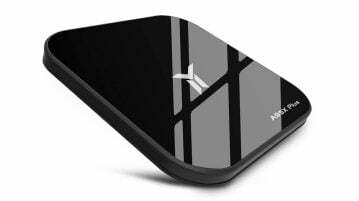 With this TV-Box we can use players like MX Player or install KODI from Google Play.. This model is compatible with LibreELEC. We check the audio in the Beelink GT1-A using a Yamaha RXV-577 AV receiver we check that they supports DD and DTS pass through sound. 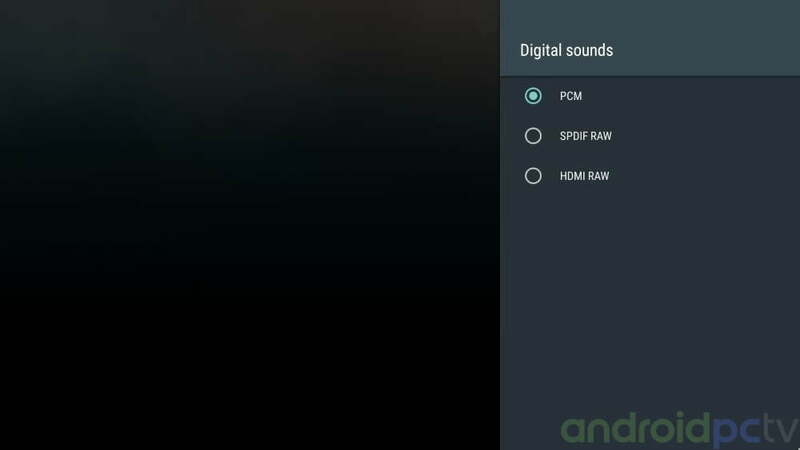 We can only listen to the multi-channel audio up to 7.1, if we do not have an AV receiver and we have problems to listen to files with AC3 or multichannel sound we must configure the system to listen to configure the system to listen to multichannel AC3 videos in stereo on any TV. We pass the classic tests on streaming services to see how the most popular services work. 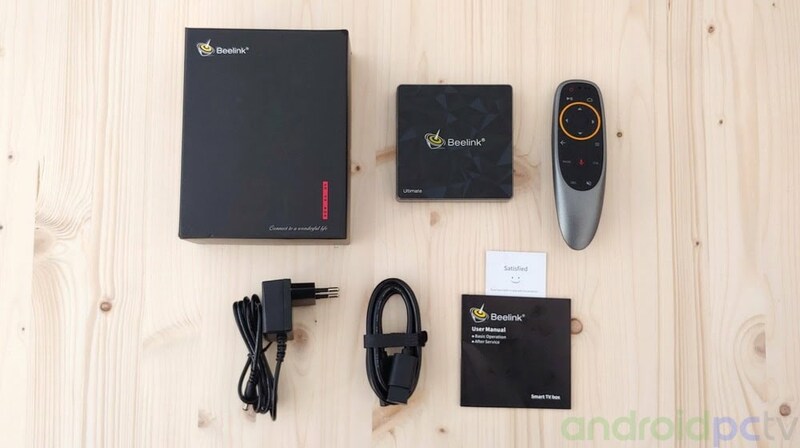 The Beelink GT1-A presents an unusual configuration since we are certified with both Google Widevine L1 and Microsoft Playready, in addition to support HDCP 2.2. 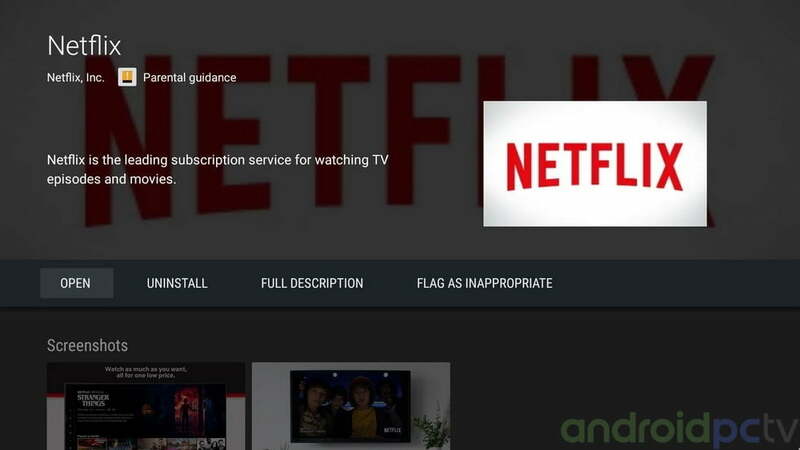 As we can see Netflix works in 4K quality through some ingenious trick but unfortunately other services such as HBO or Amazon Prime Video can not be played despite having the DRM certifications, Beelink are checking these apps to see if they have a solution. 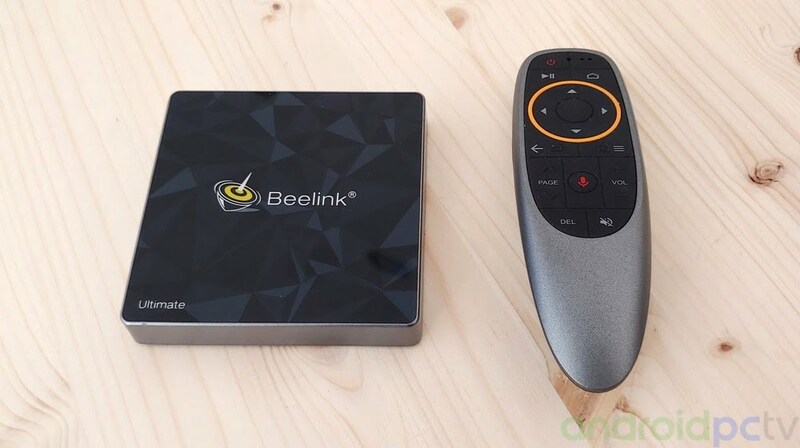 As we have seen, the Beelink GT1-A is identical to the hardware level of the classic Ultimate model, this is a device that moves smoothly thanks to the powerful Amlogic S912 SoC. In terms of connectivity we have a Wifi ac adapter with the internal antenna and we also have good network speed thanks to its Gigabit Ethernet port that allows us to get the most out of our local files. 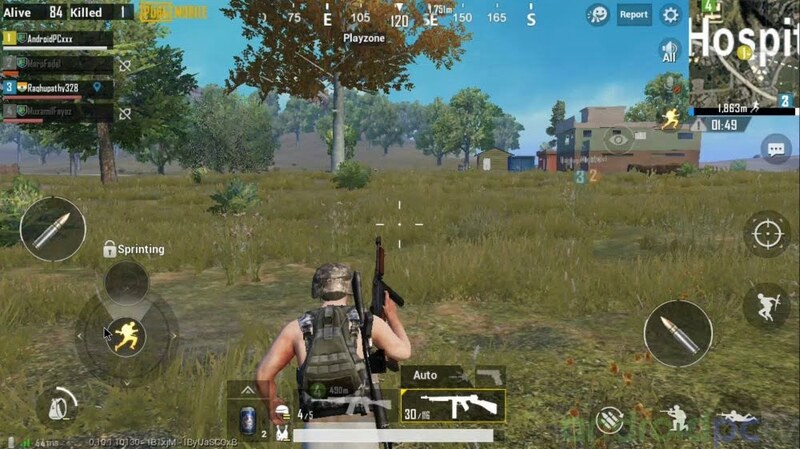 A processor that allows us to also run powerful games like PUBG and all kinds of Android apps. 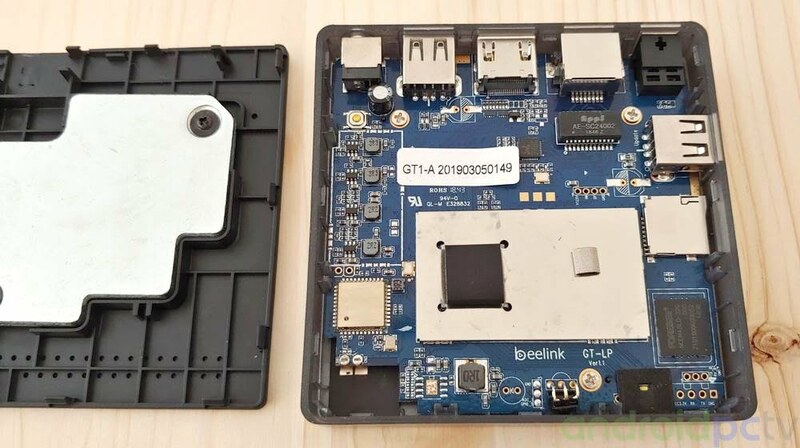 The Beelink GT1-A model has also integrated 3GB of DDR4 RAM and internal storage eMMC that works fluidity when loading several apps from the internal memory. This model behaves well as a video player with KODI but it stands out in its ability to play Netflix 4K by means of a modification and the integrated DRM (for now other services are missing). 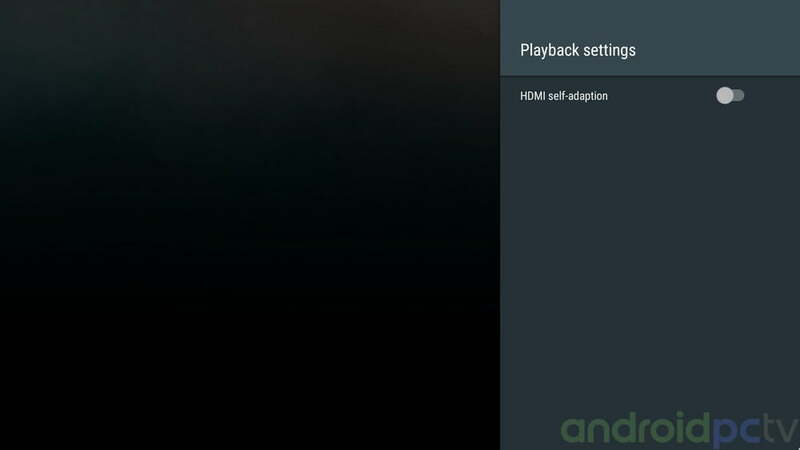 The firmware from Beelink based on Android TV 7 64bit is quite worked and offers us root selector and the option of automatic refresh rate change in video playback, we can also use the remote with voice control quite efficiently. This is an interesting model for its compatibility with Netflix 4K with a fairly efficient hardware and firmware. Not easy choice… more ports and power GT1-A. I can not unilaterally sentence which is the best option, it depends on you. 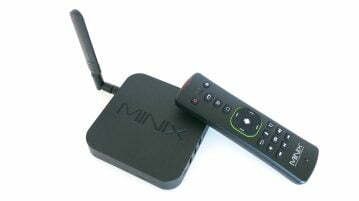 For me it was easy to choose a Beelink ( GT1 mini ) because I have my own content and I’m not interested in Netflix and their stuff. also with Beelink you do get some support. 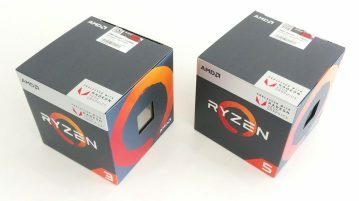 why is it outperformed in benchmarks by gt1 mini? memory? 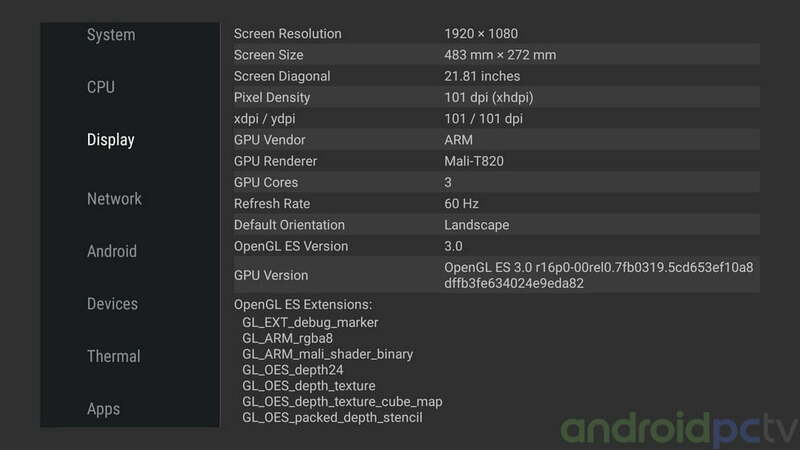 GT1 mini has a newer GPU and while this one has 8 A53 cores they run at 4×1.5 GHz and 4×1 GHz because it’s built on 28 nm. 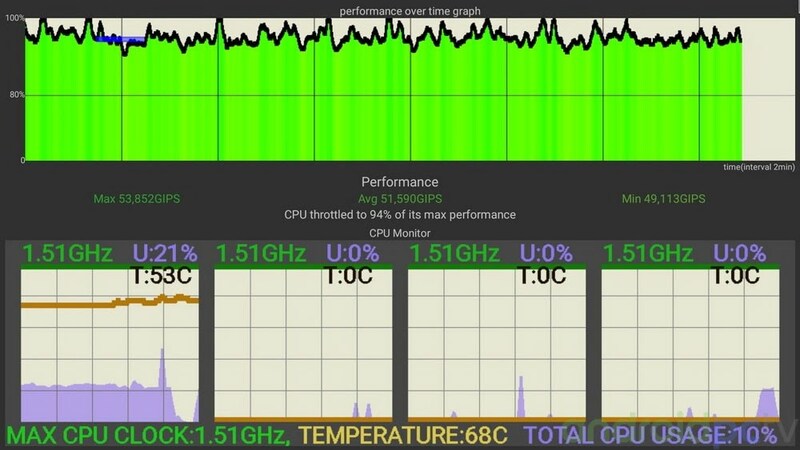 The GT1 mini SOC ( S905X2 ) is built on the efficient 12nm node and its 4 A53 go all the way to 2GHz or around there. 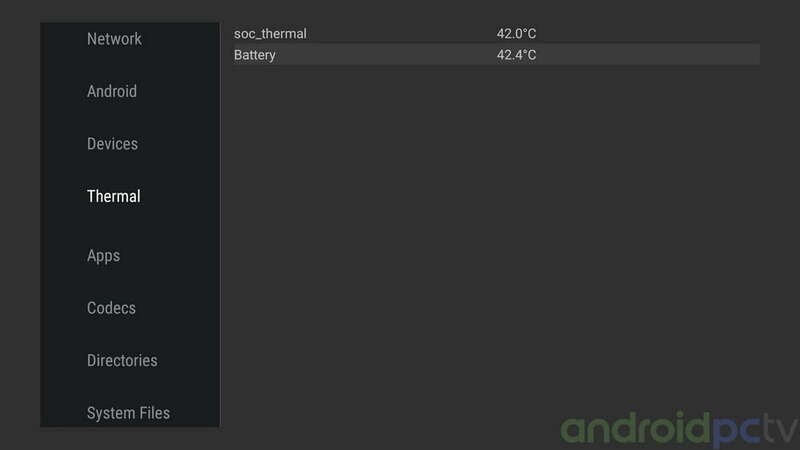 Also consider that the GT1 mini has no thermal throttling. You should have tested it with Netflix UHD.